Why do we need to calibrate our extruder? It allows you to make sure that the proper amouint of filament is provided to your hotend. Why do we need to calibrate the extruder on each machine? 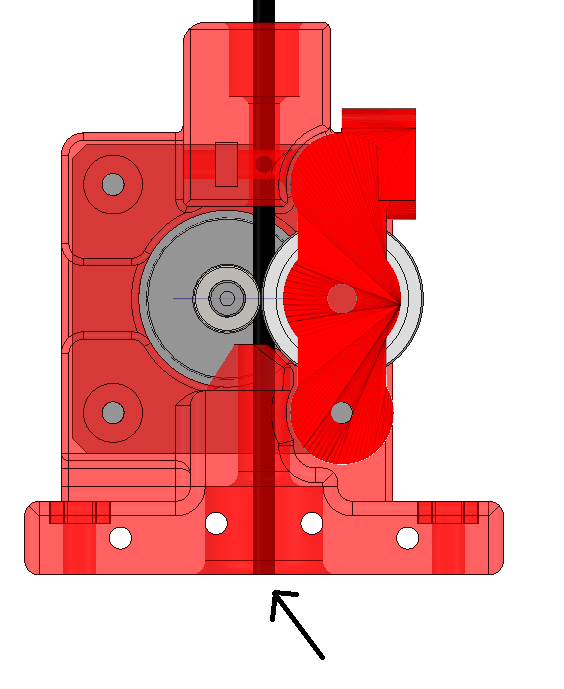 The quantity of plastic pushed by the extruder depends mainly on the diameter of the extrusion gear. It will increase the procission and quality of your prints because the proper amount of plastic will be provided to the hot end..
Why do you need to do this calibration on each machine? The quantity of plastic pushed inside the hotend depends mainly on the drive gear diameter of the extruder. This gear is machined with a different tolerance. So the gear diameter will vary from one model to another one and from one brand to another one..
We adjust the amounts of steps / mm required to push the filament 1mm. We extrude a certain length of filament, let’s take 200mm. We measure with a graduated ruller how much filament has been pushed. We then use a cross product to adjust the value of our machine. Then we check that the new value is good by extruding again 200mm and we measure again. We adjust when needed and we reapeat step 4 ntill we find the proper value. Finally to ensure the measurment error is very small we extrude 400mm or 600mm of material (something you can measure with your ruller) , We then slightly adjust the EStep/mm to get our final setting. At this stage your extruder should be properly calibrated and the quality of your prints should greatly increase. Then push the filament so that the tip is at the same level as the extruder shell. 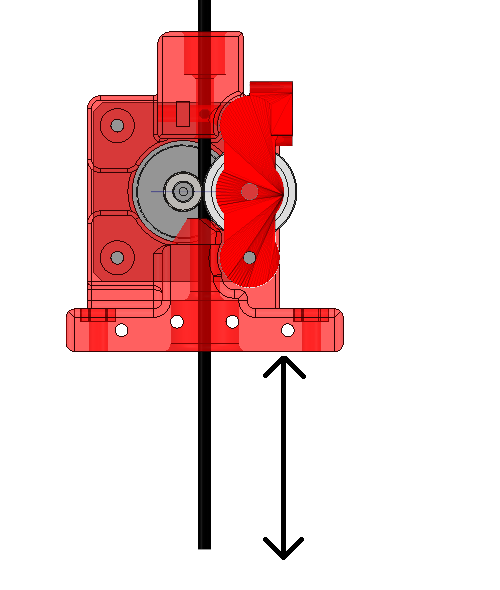 If you are in Direct drive, you will need to unmount the extruder from it’s support, so that you can measure at the very edge of the extruder exit. Cleanly cut the filament to that it’s easier to measure. Depending the firmware version, you will need to pre heat your hot end before extruding. With your LCD browse inside the SD card into the folder and print « Extrude200mm.gcode » . In order to make sure to avoid any slippery that may affect your next measurements (and probably make your measurements weird), It is strongly advised to perform these steps several times by resetting the filament position and extruding again 200mm. If your measurements are consistent you can proceed to the folowing steps. In the opposite scenario, you will need to investigate where the slippery comes from. The extruder spring is not tight enought. The extruder compression finger might be broken, and the bearing is improperly applying pressure on the filament. your Extrusion gear is improperly screwed, the motor is turning but your extrusion gear is slipping. If you solved this issue you will need to check again by doing again the previous steps. Once you get something close to 200mm , then extrude again 200mm, you should be able to measure 400mm. This steps allows you to reduce the measurement error based on 200mm. At this stage you can apply your final fined tuned EStep/mm..
You can also use « Retract200mm.gcode » to double check that your filament properly comes back to it’s position of orgine. Congratulation, Make sure to save your settings ! You have now completed the calibration process of your extruder. Cette entrée a été publiée dans Extruder, Imprimante Scalar, Imprimantes, Scalar M, Scalar XL, et marquée avec calibration scalar, extruder, Scalar M, Scalar XL, le 19 July 2016 par Nicolas Rambaud.